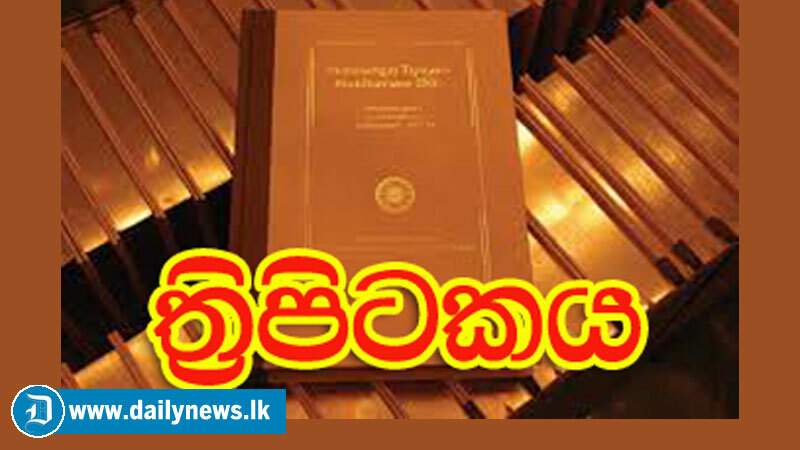 The Thipitaka will be declared as a national heritage at a national ceremony held under the Patronage of President Maithripala Sirisena tomorrow at historic Aluvihara Temple, Matale. The Tripitaka contains the preaching of the Load Buddha, preached over 2300 years ago. The Tripitaka contains three volumes as Suthra, Vinaya and Abhidarma. The event will be held tomorrow morning with the participation of three Chief Incumbents of three chapters and of 1,500 Maha Sanga under state patronage. As an outcome of the visit, taken place in 3rd century B.C of Arihath Mahinda Thera, Sri Lanka blessed with the Tripitaka. The contents of Tripitaka were brought forward by Maha Sanga by heart for centuries.